Notonectdiae adults can leave the water and fly off whenever they wish. This specimen was caught when it landed on my car. These adults are one of the few aquatic insects that can protect itself with a strong beak. 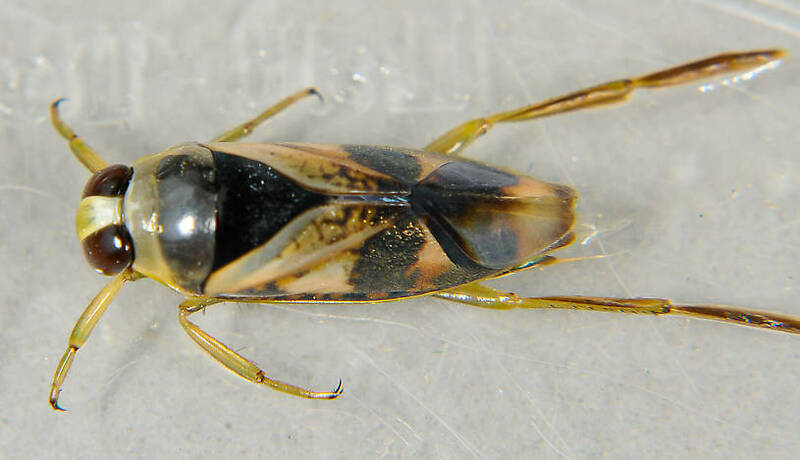 This true bug was collected from the Touchet River on June 6th, 2011 and added to Troutnut.com on June 26th, 2011.